Leonard Crow Dog, a Lakota elder and highly-regarded activist, left, places his hand over Gen. Wesley Clark Jr.’s head during a forgiveness ceremony for veterans at the Four Prairie Knights Casino & Resort on the Standing Rock Sioux Reservation on Monday, Dec. 5, 2016. 1. I know of only two Christian apology services with Virginia Native Americans in the last 20 years: One at Williamsburg with the Spanish Ambassador and one at the 400th Anniversary of the Colony on the beach in Virginia Beach in 2007. I was at the one on the beach that Rock Church hosted. At the 2007 beach event, no specific offenses were repented of that I heard over the sound system. Pastor Marty O’Rourke washed Chief Ann Richardson’s feet as an act of repentance and honor. No Christian leader or denomination has ever publicly apologized for what a Presbyterian Elder named Walter Plecker did. The hideous Plecker enforcement of the Racial Integrity Act of 1924 which he helped to draft effectively stripped Virginia Native Americans of their identity as Indians as they sought marriage licenses for 50 years. They could only register as white or black. Therefore, they all had to declare “Black” since they were not fully white. This law was an extension of the Virginia laws against mixed marriages —another set of laws all Virginians should be ashamed of, too. White supremacists got them all passed. Plecker admired Hitler and wrote congratulatory letters to his staff. As a result of Plecker not allowing Indians to register as Indians, they cannot prove their ancestry. There are currently 566 federally recognized Indian tribes, only one of which are from Virginia–and that just got approved. The other 10 Virginia tribes have lost all the valuable federal benefits that the other 566 tribes have long enjoyed. 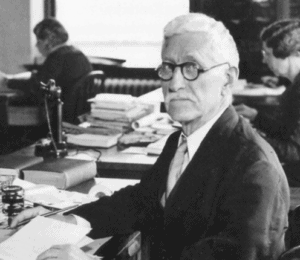 Walter Plecker was a physician, eugenicist and avowed white supremacist–and a devout Presbyterian Elder who helped start churches in Virginia. Most of the Virginia legislators and government officials who enforced these terrible laws would have claimed to be Christians in this Bible Belt state. Hundreds of pastors and churches probably knew of these laws over the 50-year history of their enforcement. Clearly, Christians have sinned against our Native American tribes in Virginia by using, encouraging or allowing such hateful laws to be passed and enforced for five decades. I think that all the denominations that were here in Virginia during the 20th century need to take some responsibility for allowing or encouraging such laws. They never have…yet despite the Governor Mark Warner’s 2002 apology for these hideous laws, especially forced sterilization. The Canadian government and the Australian governments have both publically apologized for serious 20th-century offenses against their native tribes. Why not us? Why not the Christain denominational leaders whose members perpetrated these awful offenses againts our tribes? 2. 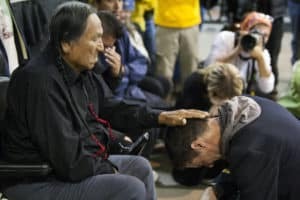 I would bet that hardly any Christians in Hampton Roads knows of any public apologies to our tribes from Christian leaders. Only a small number of people are aware of them. I think it would honor our tribes to have those previous apologies made very public. I think it is somewhat hollow to honor VA tribes on April 17th in Richmond with a statue to our tribes without such public apologies from the state and from Christian denominations for the offenses we have committed against our tribes for 400 years. As you may recall, some Christian denominations and the State of Virginia did apologize for the slavery issue. Many of my friends love our tribes and want to see them honored as they should be. The Jamestown Colony would probably not have survived with the food assistance of the Native Americans–some provided by the intercession of Pocahontas. Those tribes helped found America. For me, it is not only those motives but the principles of 2 Sam 21 that makes me sure that such public apologies need to be very public and detailed. May God heal our state and nation even more through such acts of repentance! May our Virginia Tribes be able to bless our state and nation even more despite all we have done to injure them in the 20th century and before. Virginia and our nation need the blessing of our Virginia tribes! That’s the lesson of 2 Samuel 21.